Register for the Reunion by Friday! If you plan to join us for the 2016 Duncan Descendants Family Reunion (and you have not done so already), please fill out this 2-minute, preliminary registration form: Duncan Family Reunion 2016. The deadline is this Friday, January 15. Thank you. It helps us plan for you. We’ve got 30 people signed up. Are we missing you? Sniff. Hope to see you there! This entry was posted in Betty, Bob, Kathryn, Lee, Paul, Steve, Tad, Taylor, Virginia, Wally and tagged Chicago, family reunion on January 12, 2016 by Dawn Duncan Harrell. 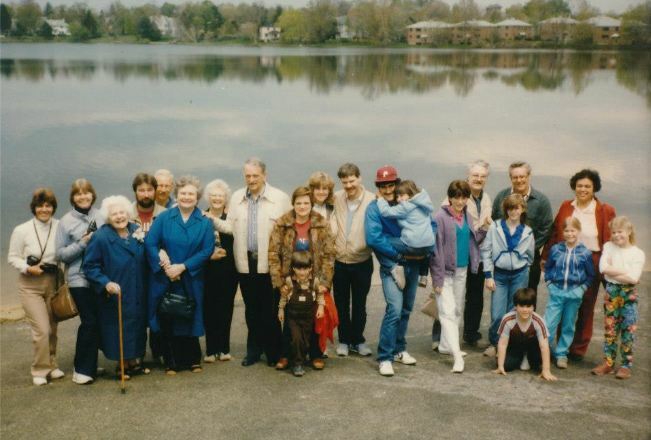 This entry was posted in Betty, Bob, Kathryn, Lee, Paul, Steve, Tad, Taylor, Virginia, Wally and tagged 2016, family reunion on May 13, 2015 by Dawn Duncan Harrell. One grandson of Taylor Duncan ran his Y-chromosomal DNA through Family Tree DNA in 2008. Since the Y-chromosome is passed from father to son, the tested DNA comes from Taylor Albert Duncan. (For you genetics geeks, that’s haplogroup R-P312.) The results reveal two ancestors. 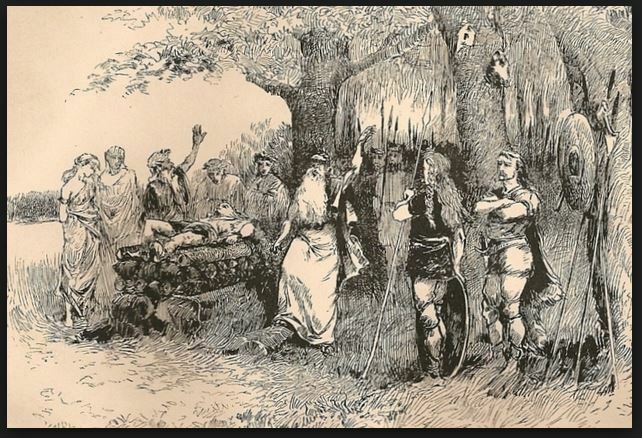 The first is a legendary Irishman named Niall Noígíallach or “Niall of the nine hostages.” Traditional sources date Niall to the late 4th and early 5th centuries and list him as high king of Ireland. He is born in Tara of County Meath to his father’s second wife, probably a Briton. He grows up to best his father’s first wife and older brothers, cementing his high kingship by taking hostages from the royalty of five provinces of Ireland, plus one each from Scotland, the Saxons, the Britons, and the Franks. Another source claims that the last four hostages all come from Scotland. At any rate, the Uí Néills (literally “sons of Niall,” now known as the O’Neils) reign in Ireland through the 11th century. Before he dies, however, Niall sires 12 legitimate sons and countless bastards. In 2006, geneticists at Trinity College Dublin perform a study that reveals 1 in 12 Irishmen, 6% of all Scots, and up to 3 million men worldwide carry Niall’s DNA. This puts Niall in the same category as Genghis Khan, whose DNA shows up in 8% of the Mongolian population and 16 million Asians. It puts us Eight Duncans descendants in the same category as tons of other people. I hope you enjoy whomever you know named O’Neil. The second ancestor the DNA test reveals is much less legendary, but much more useful when trying to build a genealogy. His name is Matthew Duncan. He was born in 1697 and died in 1766 in Louisville, KY. We know nothing about him. If you are interested in exploring your Duncan DNA further, you can contact the Donnachaidh DNA Project. What stories of our ancestors do you recall being told by Taylor, Virginia, or one of Taylor’s eight children? Have you had your DNA tested? What did you discover? Do you have access to Matthew Duncan’s information, descendants ancestors? What can you share with us? This entry was posted in Betty, Bob, Kathryn, Lee, Paul, Steve, Tad, Taylor, Wally and tagged 1697, 1766, Colin Duncan, DNA, Louisville, Matthew Duncan, Niall of the Nine Hostages, R-P312 on October 22, 2014 by Dawn Duncan Harrell. Last Day to Register is Sunday, December 15! Have you: Booked your housing? Confirmed your arrival and departure times directly with JAARS? Signed up with me? If you aren’t on this list, the party can’t start! Please confirm with Dawn. See below for how. Lodging and itinerary have also been updated below. There’s still room! Registration closes on Sunday, December 15. Are you related to Paul, Kathryn, Lee, Wally, Betty, Bob, Tad or Steve? Then you are invited to a family reunion hosted by Eric and Mary Lynn Kindberg and Kathy and Allan Courtright (Lee’s kids). Fill in this form, IM Dawn on Facebook, or email Dawn, so I know you’re coming. I’m collecting responses. I’ll pass them along to Eric and Kathy. The closest housing is in the JAARS guest hotel at the $40/night rate for one or two adults (plus tax). Note if you will share a room and with whom (additional people: $20/adult, $7/child, $56 maximum for families). Apartments are also available if you prefer. Make your housing arrangements with Penny at JAARS. Mention the “Duncan Family Reunion.” Call 704.843.6130 or see the JAARS website. Pass this invitation along, so that everyone knows they’re invited. Thanks. Hope to see you there! This entry was posted in Betty, Bob, Kathryn, Lee, Paul, Steve, Tad, Wally and tagged Allan Courtright, Dawn Duncan Harrell, Eric Kindberg, Kathy Courtright, Mary Lynn Kindberg, Waxhaw on December 13, 2013 by Dawn Duncan Harrell. Are you related to Paul, Kathryn, Wally, Lee, Betty, Bob, Tad or Steve? 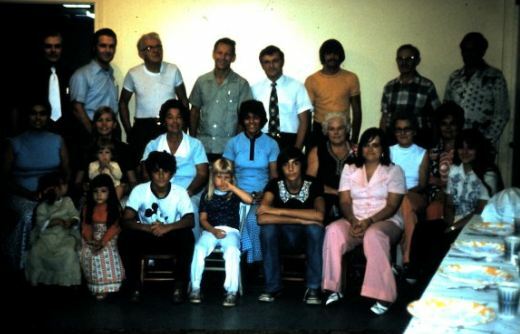 Then you are invited to a family reunion hosted by Eric and Mary Lynn Kindberg and Kathy and Allan Courtright (Lee’s kids). We need ten confirmed attendees by July 31, 2013 to continue planning. Fill in this form, so I know you’re coming. I’m collecting responses. I’ll pass them along to Eric and Kathy. RSVP by July 31, 2013 for guaranteed housing in the JAARS guest hotel at the $40/night rate for one or two adults (plus tax). Note if you will share a room and with whom (additional people: $20/adult, $7/child, $56 maximum for families). We will confirm your reservations with you after they are made. RSVP by December 15, 2013 if you’ll make your own housing arrangements. NB: You may find additional lodging on the JAARS campus. Call 704.843.6130 or see the JAARS website. This entry was posted in Betty, Bob, Kathryn, Lee, Paul, Steve, Tad, Wally and tagged Billy Graham Library, Carolinas Aviation Museum, Eric Kindberg, family reunion, JAARS, Kathy Courtright, Waxhaw on July 10, 2013 by Dawn Duncan Harrell.